Jess loves food and everything about the local food economy. She started her career in experimental and shopper marketing developing strategic marketing campaign for larger food brands. The experience gave her a rich education, but left her feeling unfilled. 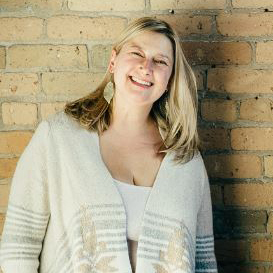 Jess followed her heart and values and landed her dream job as the Director of Brand Marketing for the Wedge and Linden Hills Co-op. Connecting her community to the farmers and producers behind our food is her life’s mission. Outside of the co-op, Jess and her husband Shannon are raising to fierce bilingual girls – Julep and Vera and supporting the local craft beer industry one beer at a time.